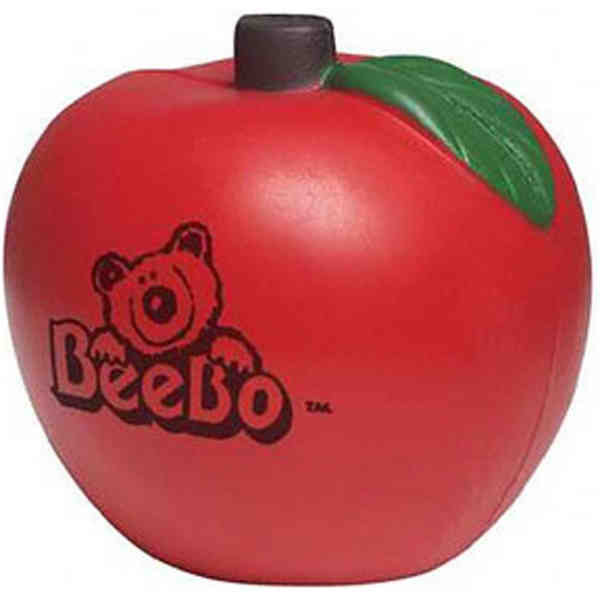 Imprint Method: UNIMPRINTED - Perfect to promote your brand, healthy eating habits, or as a gift for your favorite teacher, this bright red Apple shaped stress reliever is an appetizing giveaway! Constructed of polyurethane and manufactured by hand, no two will be exactly alike. Placement of second imprint may not be centered, as it is individually hand printed. Imprint may break and appear uneven due to the textured surface. This product is not a toy and is not safe for use by children under 3 or pets. Size: 2.5 " x 2.25 " x 2.25 "